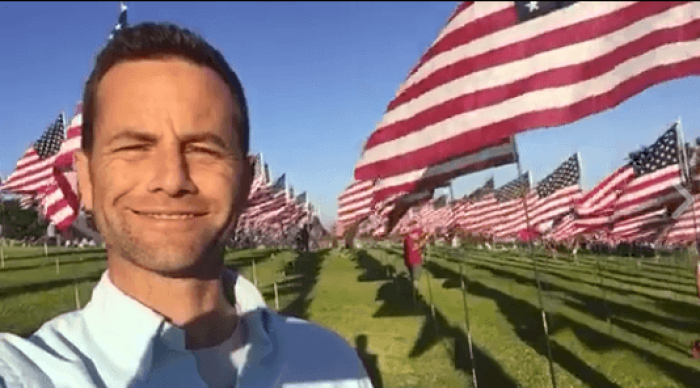 As Americans paid tribute to the nearly 3,000 people killed 15 years ago during the September 11, 2001, terror attacks, actor Kirk Cameron encouraged parents to teach their children the Pledge of Allegiance and talk to them about the freedoms the diverse nation thrives on. Standing in the middle of the flag memorial at Pepperdine University in Malibu, California, that represents the 2,977 people who died at the World Trade Center in New York City, the Pentagon and Shanksville, Pennsylvania, the former "Growing Pains" star encouraged his Facebook fans on Sunday to honor the nation "that our Founding Fathers gave us." "At a beautiful display of all of these flags remembering all of the people who died in the vicious attacks of our country 15 years ago, I just wanted to say that I still pledge allegiance to the flag of the United States of America and to the Republic for which it stands," Cameron says in the video that has been watched more than 454,000 times. "It's not any Republic, but the Christian Constitutional Republic that our founding fathers gave us. One nation, under God — not without God, not above God — but under God, voluntarily governing ourselves according to His ways. Indivisible, we must not let anyone divide us — not by race, not by creed, not by color — because united we'll stand but divided we'll fall. "Jesus Himself said, 'A house divided against itself cannot stand.' With liberty — that's freedom, not to do anything you want but freedom to love God and love your neighbor according to your conscience — and justice for all. "I encourage you to recite the Pledge of Allegiance with your kids tonight to this beautiful flag and explain to them all that it means, God bless you!" The 45-year-old has never shied away from voicing his opinion about America. While touring the country for his marriage conference, "Love Worth Fighting For," in which he shares biblical truths about marriage in contrast to society's steadily changing values, he advises Americans not to give in to secular culture. "People think we are in the last days of America," Cameron said during an interview about the conference with the Topeka Capital-Journal. "Is it too late? No, it's not too late. It's not impossible to turn it around, but there's no time to wait any longer. We are nearing the point of no return, but we're not there yet. But we must lean in, double down and engage ASAP because we've been coasting for too long." Even though the country is divided, Cameron said there's one thing everyone can agree on: "Nobody wants to fail at family." "It doesn't matter whether you're a Christian, a Jew, a Muslim, a Hindu, an atheist or if you're black or white. Nobody wants to fail at family," he reiterated. During the interview Cameron also revealed that his latest film, "Revive Us," will be shown in 1,000 movie theaters nationwide the night before the last presidential debate between Donald Trump and Hillary Clinton and will feature cameos by former Republican presidential candidate Dr. Ben Carson, among other well known Americans. 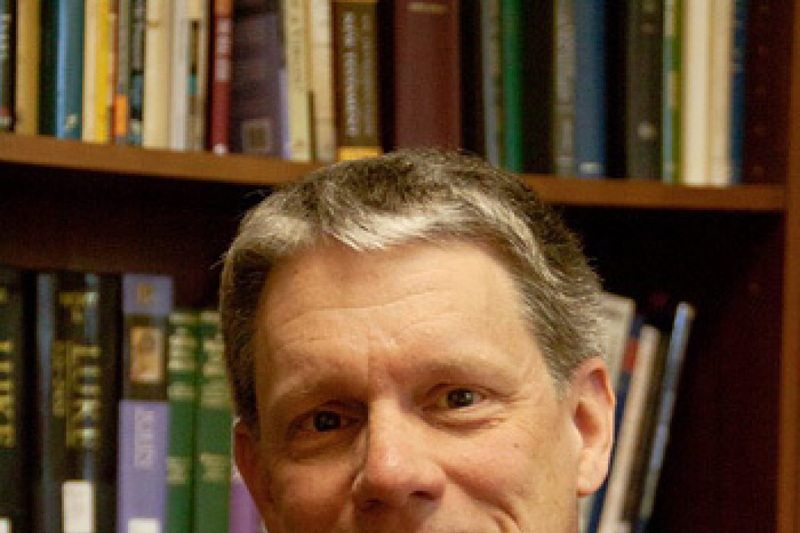 "Revive Us," he said, is about the history of Christianity in America. The "Fireproof" star is also known for regularly teaming up with street evangelist Ray Comfort on "The Way of the Master" program that aims to evangelize atheists. He has also produced and starred in the films "Monumental" and "Unstoppable" that spread the message of faith in relation to America. For more information about Cameron's views, visit his website here.